WILMINGTON, Mass.--(BUSINESS WIRE)--Apr. 10, 2018-- Charles River Laboratories International, Inc. (NYSE: CRL) today announced that its team of oncology experts is presenting 13 scientific posters, both independently and collaboratively with clients, and will highlight an enhanced oncology portfolio at the American Association for Cancer Research (AACR) Annual Meeting. The meeting is taking place from April 14-18, 2018, at McCormick Place in Chicago, Illinois. Throughout the meeting, Charles River’s experts will present the Company’s industry-leading oncology capabilities and highlight the latest advancements by presenting innovative applications for CRISPR/Cas9, immuno-oncology, in vitro assays, and more. Determination of signal transduction pathway activity in patient-derived xenograft models in comparison with clinical patient tumor samples for a variety of human cancer types (Presented: Monday, April 16, 8:00 a.m.-12:00 p.m.) This project, completed with Philips Molecular Pathway Diagnostics, describes an analysis method which identifies and quantifies activity in the cell signaling pathways of Charles River’s patient-derived xenograft (PDX) tumor models. A translational platform using primary human immune cells in vitro, syngeneic and humanized models in vivo to support and advance immuno-oncology drug discovery (Presented: Monday, April 16, 8:00 a.m.-12:00 p.m.) Researchers established a translational immuno-oncology platform with the capability of progressing biologics or small-molecule modulators of immune response from in vitro and ex vivo through in vivo assays, including humanized models. Quantitative measurement of immune-modulatory mediators within tumors of freely moving mice utilizing in vivo microdialysis (Presented: Tuesday, April 17, 8:00 a.m.-12:00 p.m.) Leveraging microdialysis in tumors, researchers monitored changes in biochemical elements within tumors to better understand cancer biology in the development of novel therapies. A full schedule of Charles River’s activities during AACR 2018 is available online. Reprints of each poster will be available in Booth #1615 during the conference and Charles River experts will be available for meetings to discuss how an integrated approach can support drug discovery and development programs from hit ID to IND. Throughout the conference, Charles River will be providing live updates on the Eureka Blog, including reviews of scientific sessions and input on the research being presented. In February 2018, Charles River announced the launch of its new online Tumor Model Compendium web interface. The new Compendium interface provides oncology researchers with an easily accessible, user-friendly resource to identify tumor models based on specific molecular and histological properties, accompanied by selected patient information. 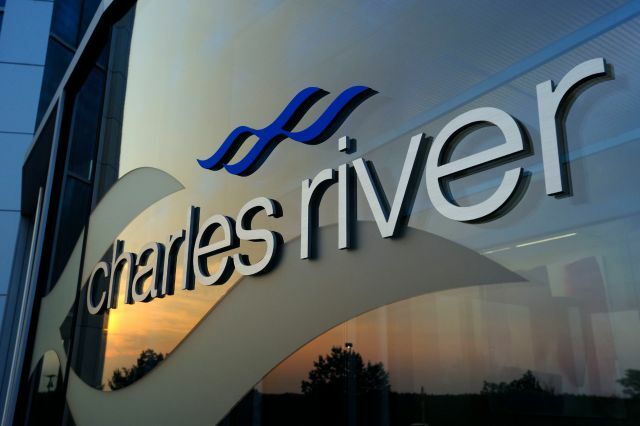 Ahead of AACR, Charles River will incorporate the signal transduction pathway activity, developed with Philips Molecular Pathway Diagnostics, as a characteristic of Charles River’s PDX models. The resemblance of these pathways to clinical samples will lead to better development and clinical application of targeted drugs for personalized cancer treatment. Recently, Charles River and HemaCare Corporation (OTCBB: HEMA) formed a strategic partnership to advance human immune system research by developing a more efficient and reliable method of working with humanized mice. Through the partnership, HemaCare’s peripheral blood mononuclear cells (PBMCs) are paired with Charles River’s NCG triple immunodeficient mouse. This NCG/PBMC Select Humanization Kit is the first of its kind in the industry and provides both the NCG mouse and vials of prescreened human PBMCs, allowing researchers to efficiently develop humanized mouse models on their own timeline.